I presented you with this thought: if athletes like Tim Tebow (football), Craig Counsell (baseball), as well as others can make it to the professional level using unorthodox mechanics, should we just let our kids experiment and find what works best for them, or is it our responsibility to teach them the proper mechanics? Here is a selection of some of your thoughts…. I found your article, “You be the judge….” Interesting. You conclude the article by asking whether or not there is a time or place when athleticism trumps mechanics. Among the many responsibilities associated with coaching is that of helping athletes to learn and develop their knowledge and skills; that is, to afford them the best opportunity for success and enjoyment. 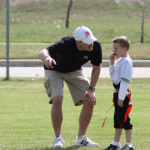 A coach must first of all teach the fundamentals associated with the sport. How else will the athlete know the difference between what he/she thinks is correct and the correct/most effective technique? For a coach to knowingly ignore teaching the fundamentals is irresponsible, as is allowing an athlete to continue to use unorthodox methods without instruction and guidance. 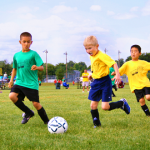 Parents, administrators, assistant coaches, and the public expect coaches to know the fundamentals and to help each athlete, according to his/her abilities to strive to learn and master the fundamentals. Furthermore, coaches are compensated to teach and help the athletes to pursue their athletic potential. The awkward and unorthodox examples of professional success you cite in the article (Tebow and Counsell) cannot be disputed. However, these athletes have learned to overcome what possibly is a handicap associated with their respective styles. How much easier would it have been for these athletes to progress and become expert if at a younger age they were “coached up” to master the skills and techniques? I am a high school baseball coach with the primary responsibility of teaching the hitters. As a hitting coach, my rule is simple: if a kid is succeeding, leave him or her alone. Witness Mays, Clemente, Berra, and Luis Gonzales — there are many radically different approaches to successful hitting. This is the only aspect of sport in which I claim expertise, but I suspect the principle would apply to many aspects of many sports. Thanks to all who responded. You had great input. The results were very lopsided in the favor of “teach the proper mechanics”. I am on their side as well. Those who have found success with bad body mechanics are in the vast minority. The margin for error is so unbelievably small, that our kids need every little bit of help that is possible. 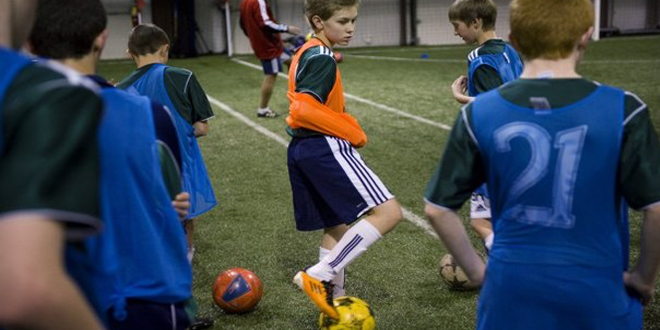 Teaching the correct and proper way to shoot, hit, kick…etc is crucial. I think that taking a risk on developing a unique style in hopes that it will set you apart and give you the competitive edge is a shaky game plan. If you thought that making it to the pros was tough already, try to make it with poor fundamentals and bad body mechanics. The other point that needs to be made and understood is that it takes twice as long to perfect a movement if it is done improperly. I have worked with thousands of basketball players and know that those who shoot the basketball with proper mechanics will shoot at a higher percentage than those shooting with poor mechanics. For them to shoot as good as those using correct form, they will need to shoot an enormous amount of extra shoots on their own to perfect their atypical shooting form. Most kids don’t have the time, or the interest to master their form if this is what is needed to equal those with good shooting form. Defeat will take over and they either quit playing and/or passive indifference kicks in and they just settle in to mediocrity. We owe it to the kids to give them the best opportunity for success. So, I am all in for teaching the correct mechanics.